Srinagar (Jammu and Kashmir) [India], Apr 7 (ANI): "Head back to your homes. We will help you rehabilitate," said Lt Gen KJS Dhillon on Sunday while requesting Kashmiri boys who joined terrorist groups to return home and lead a peaceful life. "Life of a terrorist after he picks up the gun is three days to 30 days to three months or a few months. So I would request you to get back to your home and we will help you re-establish and rehabilitate," said Lt Dhillon, while talking to ANI. 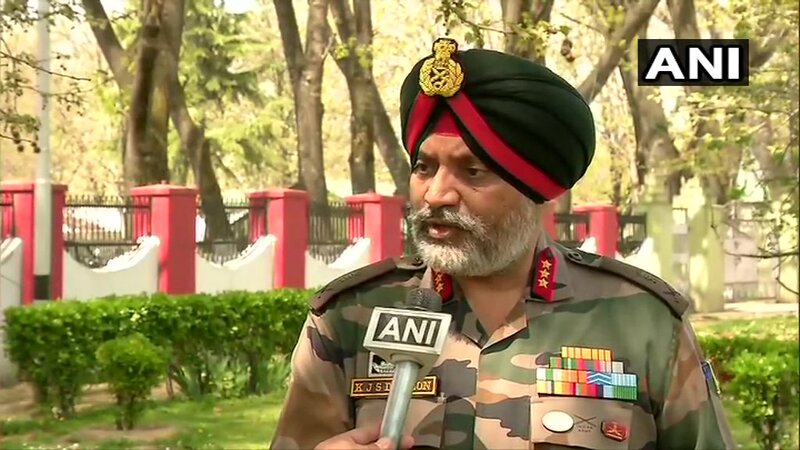 I would like to request all students and boys who are joining terrorist groups to surrender and especially mothers to ask them to surrender," Lt Gen KJS Dhillon told ANI. Giving details of Saturday's encounter, Dhillon said that two terrorists were killed in the encounter, out of which, one was a local and a technical graduate, and joined the terrorist group on April 3 and was killed within days. "In 2018, more than 250 terrorists were killed. This year, the figure is almost touching 70 in three months. After Pulwama terror attack, we have targeted the leadership of Jaish-e-Mohammad (JeM). JeM is non-existence in Kashmir valley and if they come we will eliminate them again," Lt Dhillon, also GOC, 15 (Chinar) Corps Commander, said. He also appealed to the Kashmiri mothers to stop their children from joining terrorist groups. "I would like to request mothers of Kashmir to look after their kids and don’t allow them to join such terrorist groups," he said. Speaking about the preparedness ahead of the elections: "It is the principal responsibility of the Election Commission, supported by the civil administration and state police, to hold elections peacefully." "Indian Army has a role to play in Kashmir for overall and peripheral security. Security to election staff, election material, and the general public is 100 per cent." "I assure you that the elections would be held peacefully. The army is providing security to the public, election staff, and election material," he said.